The relationship between tenants and landlords isn’t always a whirlwind romance. Often, it begins with a blind date that turns into an “I don’t, maybe I should see him again” situation. 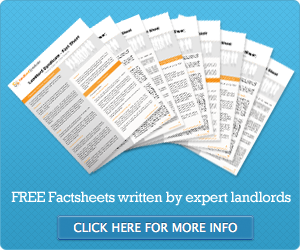 Landlords have a lot to deal with when finding and renting their property. From landlord’s property insurance to finding and screening tenants, it seems like their work is never done. Before you decide to accept an application for your property, we have a bit of landlord advice to throw in your direction: screen them! While landlord action offers you some protection, preventative care is the best route to take. Here’s how to professionally screen and select tenants for your property. While they are time-consuming, background checks save you significant heartache. Many landlords pass the costs of background checks off to tenants, and if you choose to go this route you won’t have to worry about extra expenditures. Whatever way you go about it, don’t skimp on having one done. Besides landlords property insurance, you’ll also want to get informed on local laws regarding breaks in the lease, what your rights are as a landlord, and your responsibilities. Do this well before you list your property. The last thing you want is to be held liable for something you didn’t know you were supposed to take care of. Always meet in person with potential tenants. Nonverbal body cues say much more about a person than a telephone interview ever could. If you have to, make arrangements to meet up if you don’t live in the area. References are essential. You don’t want to have to take landlord action, so take this piece of landlord advice—ask for and follow up with references. Previous tenants aren’t likely to hold back honesty. Give them a ring to find out more about tenants before you rent your property. Use this process to screen potential tenants and save yourself some heartache. Your property is an investment, and the people who call it home should be respectful of that investment. At the same time, the longer your property stays vacant, the more your losses increase. Common sense and these tips can give you peace of mind and a better return on investment. Simon Thompson is Chairman of the Landlord Syndicate and CEO / Co Founder of Accommodation for Students Ltd.